Solve this wild search-and-find again and again with the attached write-and-wipe pen! A leap of leopards, a pandemonium of parrots, a zeal of zebras—oh my! 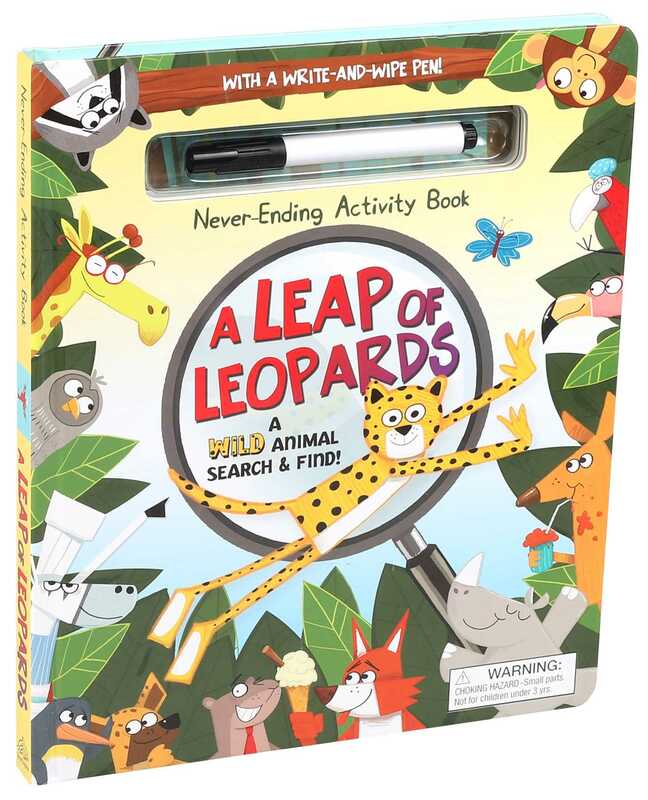 This search-and-find activity book is wild with fun animal group names and wacky scenes. Use the attached write-and-wipe pen to circle silly things as you find them and then erase them when you’re finished—it’s the activity that never ends! Maggie Fischer is originally from Oregon but moved to San Diego, California, after receiving her B.A. in English from Gonzaga University. The daughter of a children’s librarian, Maggie has books in her blood, and relishes the opportunity to write and edit books for kids. She spends her time forgetting to take advantage of the beach, pretending the neighbor’s cat is her own, and listening to true crime podcasts that keep her up at night. Alex Patrick was born in the Kentish town of Dartford in the South East of England and has been drawing for long as he can remember. His life-long love for cartoons, picture books, and comics has shaped him into the passionate children’s illustrator he is today. Alex loves creating original characters. He brings an element of fun and humor to each of his illustrations and is often found laughing to himself as he draws.